Breathable, elastic and very comfortable: these are the innovative AIIR Plate’s features. This unique product provides maximum comfort, increasing breathability and reducing moisture, to offer unique benefits. 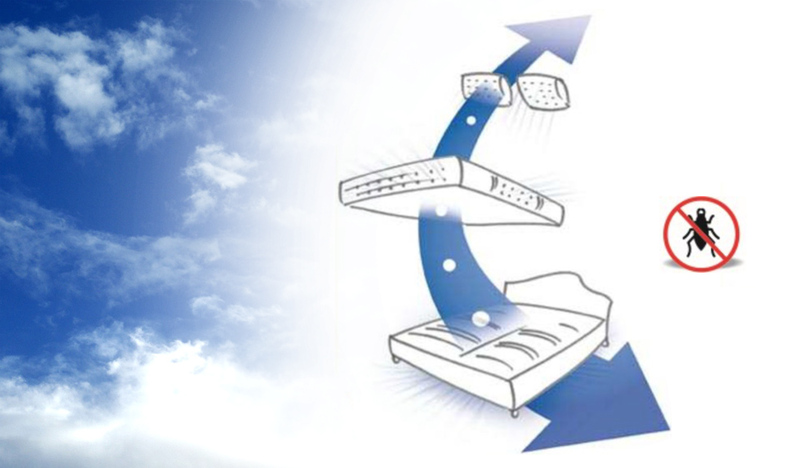 The innovative AIIR Plate exceeds the benefits of traditional ventilation in spring mattresses. The springs are made to contain great quantities of air but can only disperse it laterally because of the two felt layers, that act as insulation, positioned above and below the springs. 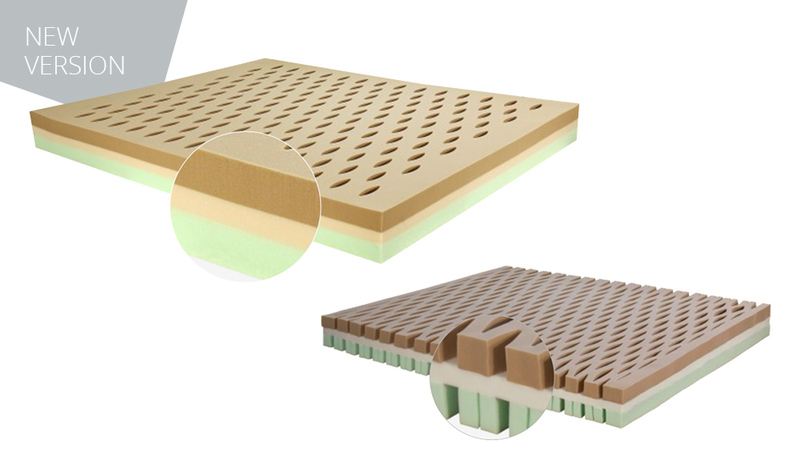 The AIIR plate allows heat and moisture to disperse in the right directions: on the top and bottom. Through the perforations in the foam, large passages are created, offering a much greater air circulation. The through-holes in the plate allow for a 20% greater air recovery compared to a conventional product. The air chambers positioned on top of the plate, in contact with it body, allow for a reduction in heat and humidity, providing a pleasant sensation of coolness. The lower part, in contact with the bed frame, allows heat and moisture accumulated during the night to disperse rapidly. 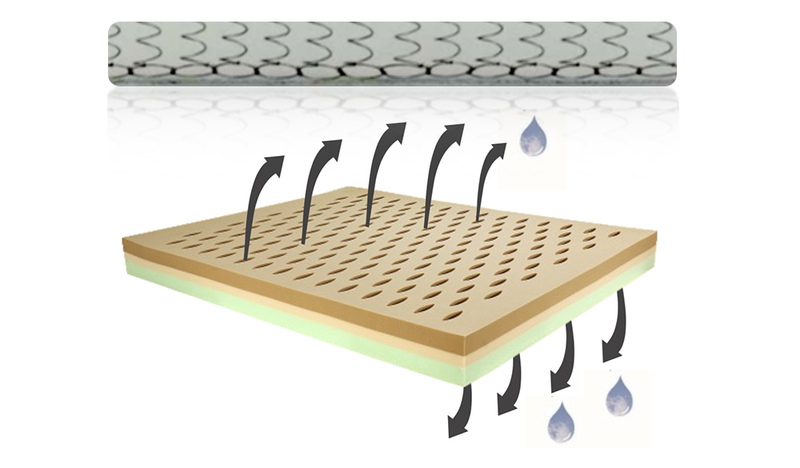 By eliminating any form of moisture, the AIIR plate can therefore prevent the onset of mites and moulds. The new version is made with through-holes and no longer has a central unperforated section that interrupts the air flow, which means a greater and more intense breathability. The lateral side of the plate (see detail) is not cut, which means that the lateral support in the new version is greater. There is no loss of lift or comfort despite the lower density of the material in the plate. The new plate, unlike the previous version, can be VACUUM-PACKED without any risk to or loss of the original features. 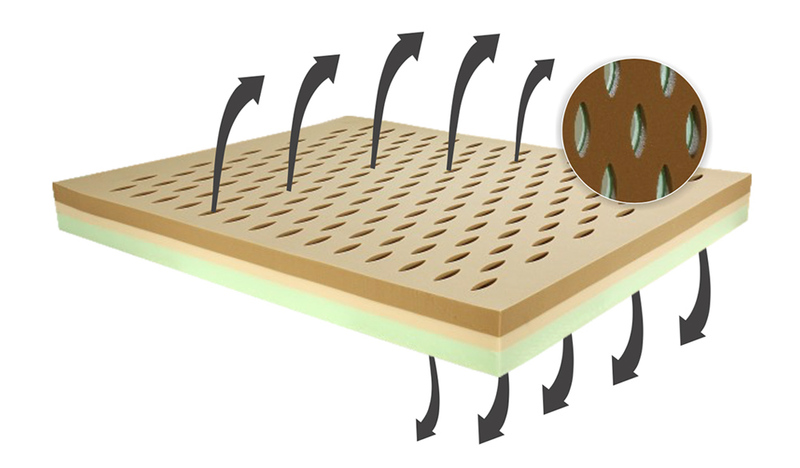 This version is recommended for use over other versions for electric mattress supports, inasmuch as the new processing technique is better suited to the profile and movement of those supports.